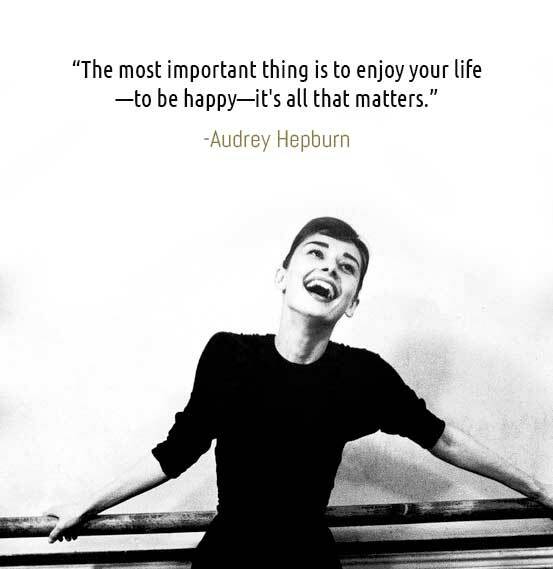 One of the many reasons I love Audrey Hepburn - she comes up with all things intelligent to say. 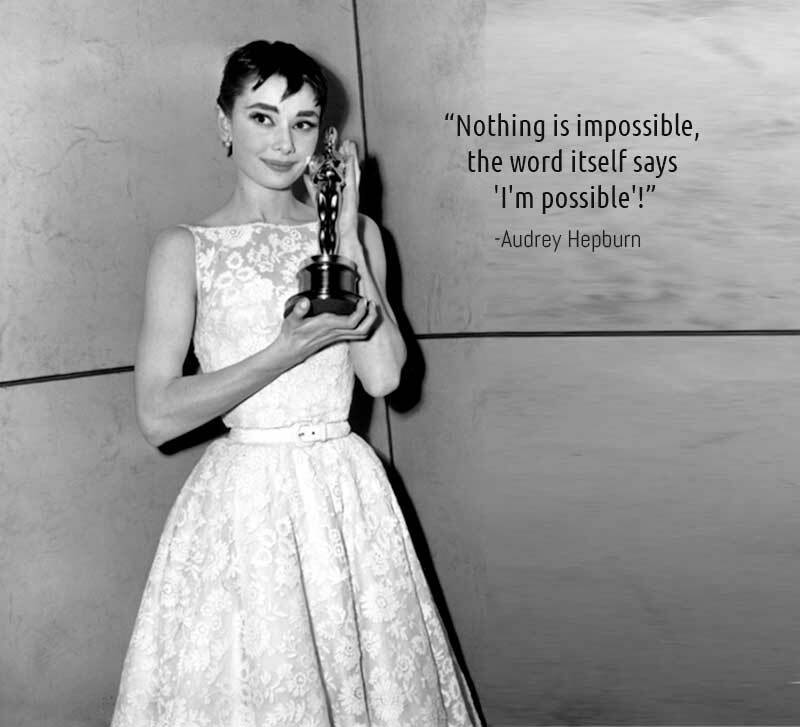 Here are some of her memorable quotes that are truly inspirational. It's what keeps me going on a tough day. Have you ever bought a dress and tried it on, only to realize that it doesn't look as flattering as it did on the model in the advertisement? Disappointing, isn't it? But don't despair, it happens. 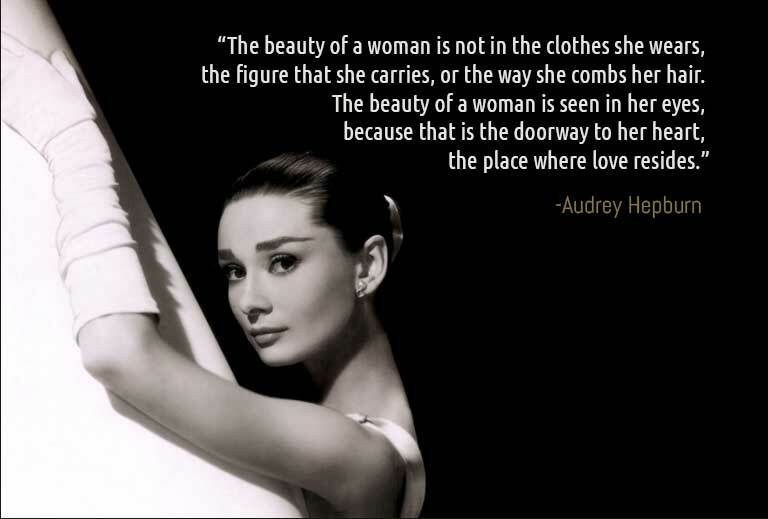 The truth of the matter is that every woman's body and figure is different. As you gain or lose weight, your body shape may consequently change as well. What may work for some may not necessarily work for you. Our aim is to understand our bodies, embrace it and dress in such a way that we flaunt only our best assets. So regardless whether you're looking for a dress for your wedding (or your bestie's), prom or formal, sweet 16 or graduation, we are all looking for the perfect dress. The question is how? Where do we start? When I got married some time ago, I remembered being terribly overwhelmed by the dress selections - there were hundreds to choose from. My wedding photography package allowed me to pick 5 dresses from what they call their "designer range" for our photo shoots. So there I was, feeling lost and not knowing where to start - randomly picking out dresses I thought would look nice on me. But when I tried them on, it was a different story altogether. You see, I am a classic pear shape but I loved the mermaid silhouette. So naturally I leaned towards body hugging mermaid dresses. I put the first dress on and I wasn't impressed. It was unflattering. So I put on another, and another and yet another. After having tried on almost 20 dresses, I was getting flustered and close to tears. I wished I'd known better back then but I had no clue what I was doing. Having noticed the disappointment on my face, the salesperson decided to promote their upgrade package. So I bit the bullet (and my husband was kind enough to allow this) and paid extra to upgrade to their "VIP designer range" - whatever the heck that meant. I was just so desperate to find something that worked for me. But was it worth it? In hindsight, I'm not so sure. Oh, and did I mention - I didn't own these dresses. They were just for rent. This time, the salesperson guided me along the way and suggested that I try her dress recommendations instead. The silhouettes were very different this time - they were mostly ball gowns and A-line frocks. And, let me tell you, they were perfect. 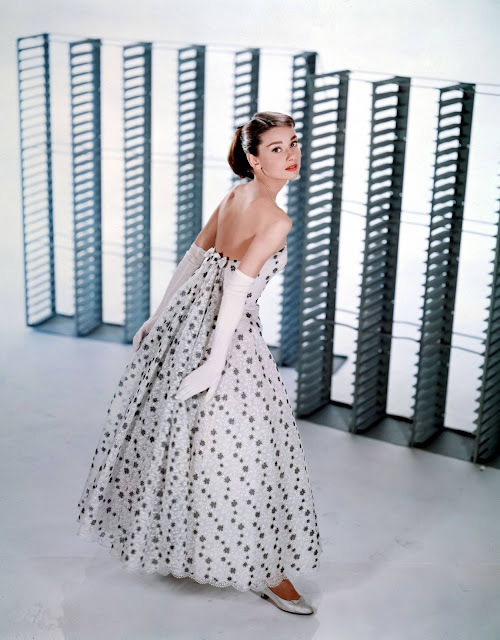 It wasn't because the dresses were fancier, but rather the dress silhouettes were absolutely spot on. Why am I telling you this? Well, for starters, there's a lesson to learn here. No matter what the event may be - do your research first so you have an idea of what you want to (or should) wear. Trust me, it's worth the effort and you can avoid splurging on unnecessary "upgrades". Don't succumb to sales talk or rent/purchase a dress that you don't feel 100% confident about. This is even more so if you have a limited budget or you're working against the clock so you can't afford to waste valuable time and money. So, first order of business - do your research so you have an idea of what you want to (or should) wear. Before anything else, get to know your own body first. I can't stress how important this is and how many people miss this step. I specifically recall once when a customer came to me asking for help on choosing the right dress for her. I could feel her desperation (all too deja vu if you ask me). I soon realized that she'd ordered a couple of dresses online which didn't fit and ended up tucked away in a garment bag somewhere in her wardrobe. I empathized with her, and it was heartbreaking even for me to read messages like these. Stand in front of a mirror (preferably naked for best results). Using a lipstick (or your kid brother's crayon or whatever you can grab), mark the widest point of your shoulders and hips with a dot. Repeat for the waist by marking the narrowest points on both sides. Now step back and connect the dots to make an "X". Compare your outline with the X Factor chart below to determine your body shape. 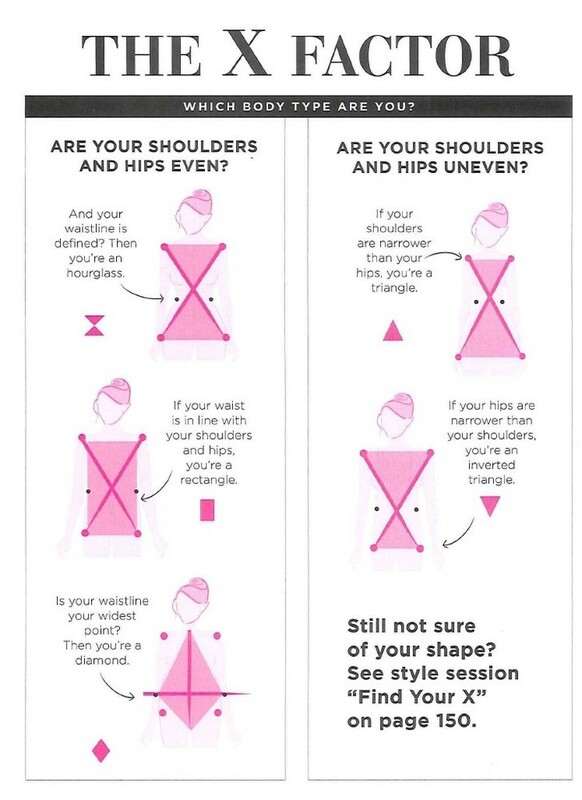 Do you know your body shape now? Great! Now let's move on and figure out the best dress silhouettes and styles for you. Ball gown: Its fitted bodice minimizes the waistline while the full skirt disguises the hips, buttocks and legs. In general, it's ideal to find a dress that hugs your curves and shows off your small waistline. Your best bet is to find a dress that creates more curves and a more pronounced waistline. If you still cannot decide on the best silhouette for yourself, then play it safe and go for an A-line dress silhouette. A-lines are very forgiving and are universally flattering for any body shape. It may just be my personal preference, but I'd rather see a dress advertised on an actual real person (whether a slim or plus sized model) than on mannequins. You get a real taste and sense of the designer's style and work of art from top to toe - from the hair and makeup, to the dress, and right down to the shoes. You can then decide for yourself if you like the complete getup and if it'll work for you. Some dresses require additional accessories like gloves or necklaces to make the look pop while others only look better when worn with pumps or stilettos. It's why fashion runway shows work better than seeing a random dress displayed in store - you get to see the complete package and more often than not - you want to steal the entire look. But how? How on earth am I to attend a runway show?? Now that you have a Pinterest account, just go to the search bar and type in "<celebrity name> dress". You'll be presented with a myriad of photos! Of course, you'll need to replace "<celebrity name>" with the name of the celebrity you wish to look up. Here are some suggestions below organized by their body shapes. Now that was easy, wasn't it? You now have a wealth of photos to go through and the best part is, you get to see how these celebrities dress by flaunting their best assets and disguising other body parts. You'll not only get a feel of which dress silhouettes, necklines and waistlines will work best for you, you'll also have an idea of what to do from your hair to makeup and accessories and even your shoes. Of course, even celebrities don't get it right all the time. So be sure to learn from their mistakes! 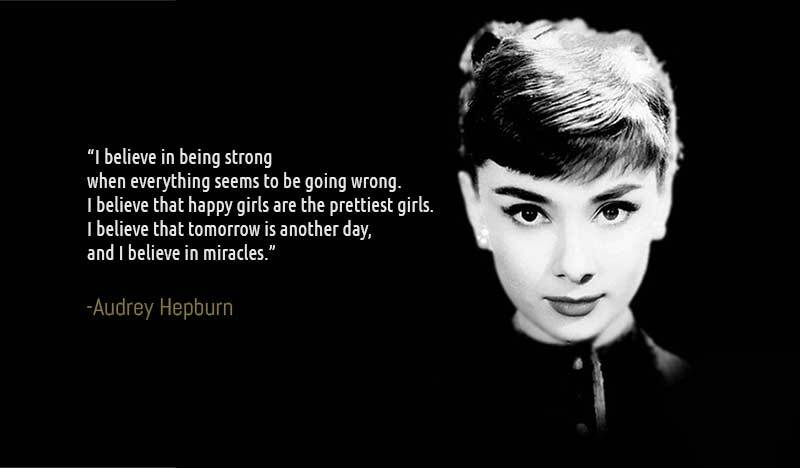 I've probably said this a million times before, but I love Audrey Hepburn. Have you seen those eyes? Swoon. I may not have met the fashion icon in person but I've seen the next best thing - her wax figure at Madame Tussauds, Australia. 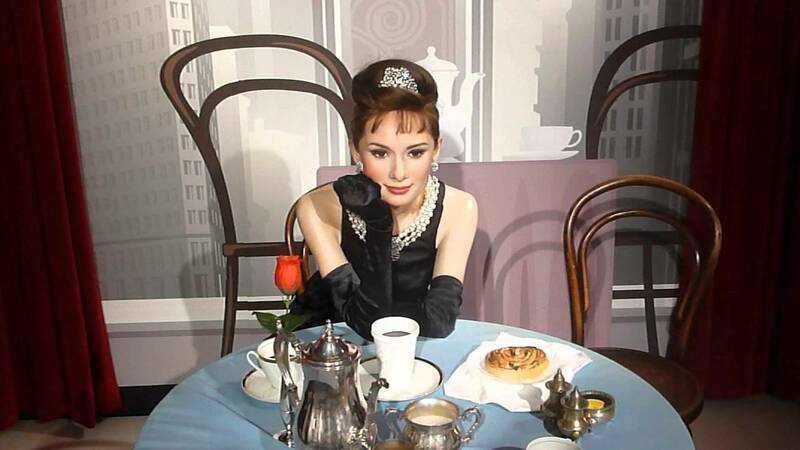 Just have a look at the photo below - the set captures the scene from her 1961 film, Breakfast at Tiffany's. 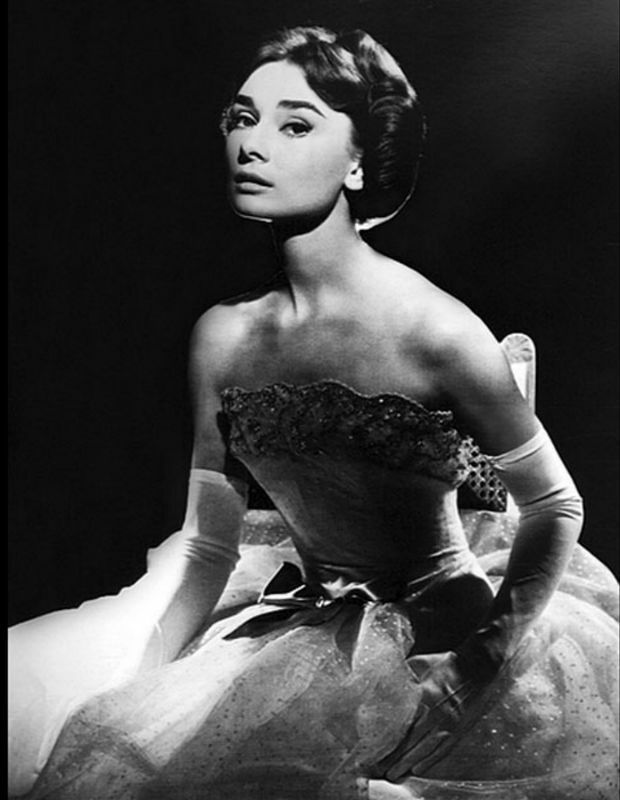 If you've seen Audrey Hepburn's old photos, you'll know that she's a lady of class, elegance and simplicity. Heck, the lady can absolutely rock plaid shirts and loafers! 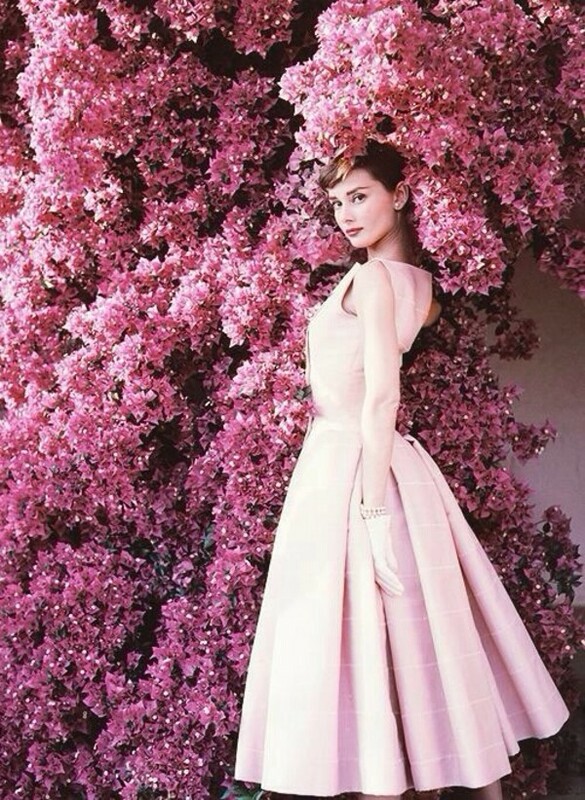 Take a look at Audrey's lookbook below and you'll see for yourself why she still remains a style icon today, and I'll bet for many more years to come. 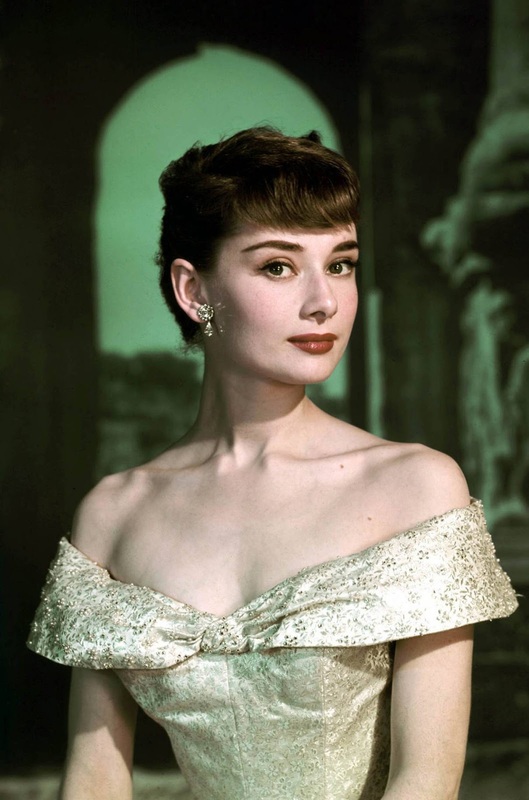 Ms. Hepburn in an off shoulder ball gown for the movie, Roman Holiday. Are we really that much different from women back in the day in terms of our dressing? The answer may surprise you but no. Today's fashion undoubtedly takes its cue from vintage fashion by imitating its styles, embellishments, silhouttes, and lengths. Back in the early 1920s, dresses were beautifully crafted with embellishments. Wealthy women were expected to wear afternoon dresses (also known as "tea gowns") to formal luncheons and afternoon teas. These dresses featured long, flowing sleeves and were embellished with sashes, bows or artificial flowers at the waist. The waistline fell to the hip and the hemline tended to end at mid-calf or just above the ankle - more commonly known today as "tea length". Evening dresses however, were usually slightly longer. The dresses were extravagant; having made from luxurious fabrics such as satin or velvet and commonly adorned with beads, rhinestones or fringe. If you've watched The Great Gatsby, you would have noticed Carey Mulligan's gorgeous evening gown (depicted below) which designers created based on a representation of the 1920s fashion. In the 1930s though, the attention shifted towards the arms - fluttering or puffed sleeves, butterfly sleeves and banjo sleeves. Evening gowns also came with matching jackets which were worn to the theater, nightclub and fancy restaurants. 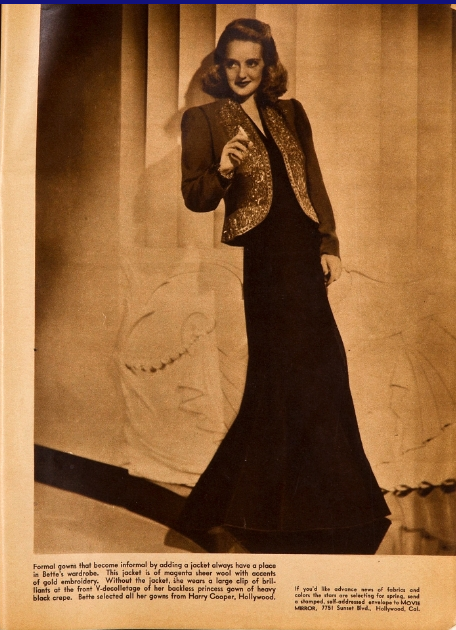 The photo below shows Bette Davis in her formal frock paired with a gold embroidered jacket. 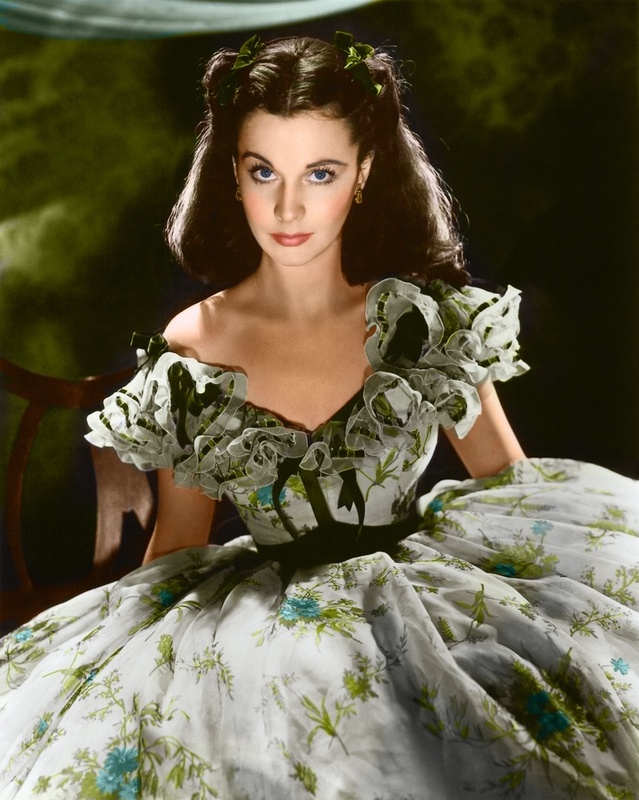 The 1939 film Gone with the Wind saw Vivien Leigh as Scarlett O'Hara wearing Walter Plunkett's barbecue party dress - the costume that sprung full skirts worn over crinolines back into wedding fashion. 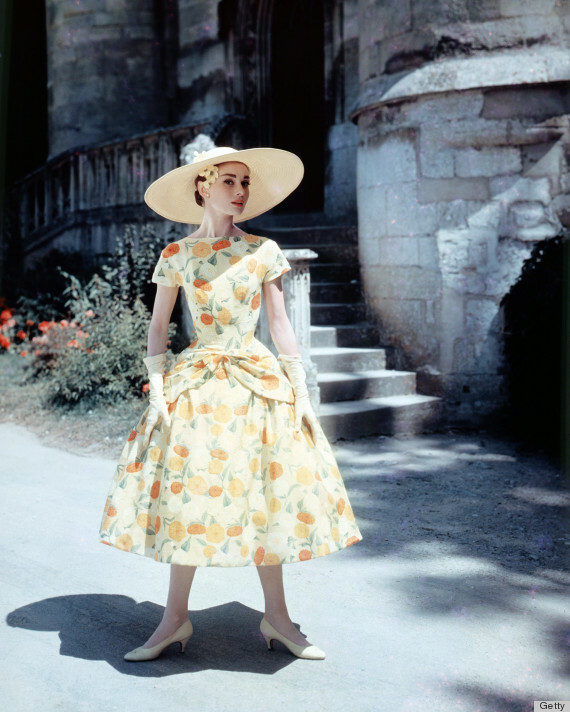 The dress featured a bodice made of floral printed organza which fitted snugly to the body. Through the mid 1930s, an emphasis started to be placed on an empire waistline, where dresses were designed with a fitted midriff or seams below the bust which gave a high-waisted appearance and increased the focus on the breadth at the shoulder. By the end of the 1930s, the trend shifted towards the back with halter necklines and high-necked but backless evening gowns with sleeves. The 1940s showcased a myriad of trends including shoulder pads, floral prints, neckerchiefs, pleats, zips, ruching and even statement head wear. 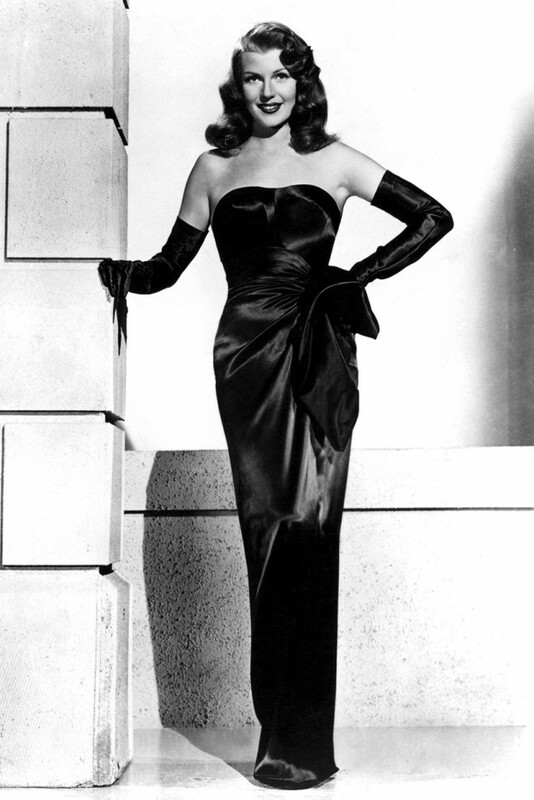 But perhaps the most iconic dress was the one worn by Rita Hayworth in the 1946 film Gilda. 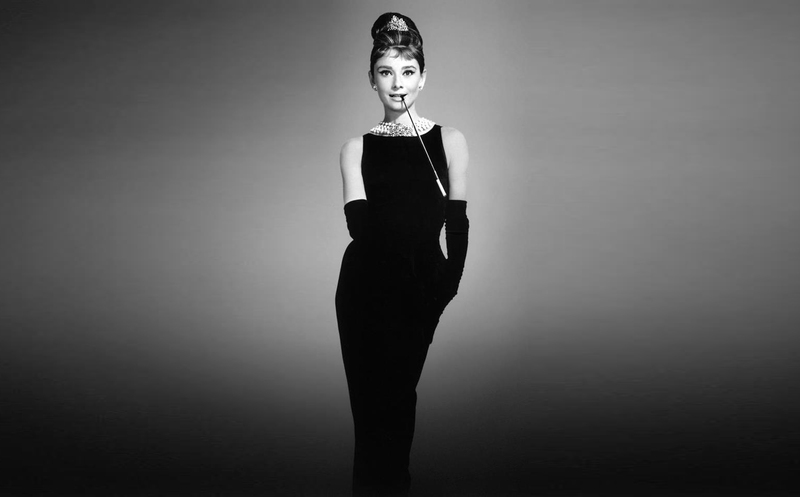 The actress donned a seductive black satin sheath gown made by American costume designer Jean Louis in the movie's striptease scene. The 1950s is probably one of my favorites decades. Gone were the padded shoulders and tubular silhouettes. Dress silhouettes became more feminine by featuring narrower shoulders, a cinched waist and longer skirts and more emphasis was placed on the bust. 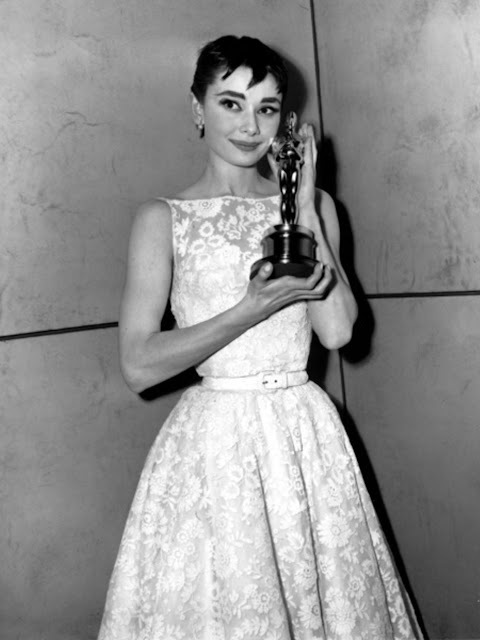 In fact, the hourglass figure was all the rage, which was why the dresses were slim at the waist. 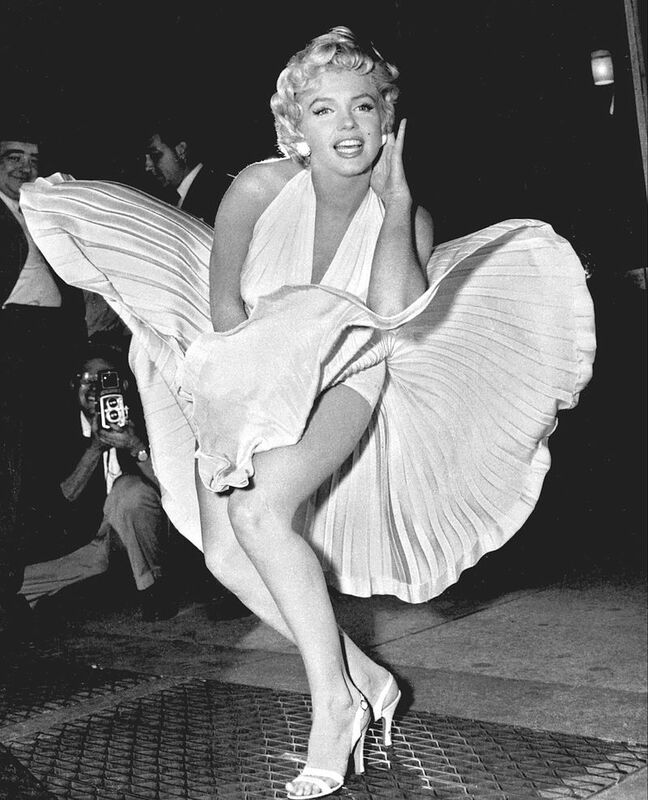 One of the most memorable dresses would have to be the white dress worn by Marilyn Monroe in the movie The Seven Year Itch. The dress featured a halter bodice with a plunging neckline, a waistband and a softly pleated skirt. Ball gowns were also now made longer than ankle length dresses such that they reach the floor. These full skirted gowns for white tie occasions were worn to balls, just as how they are worn to formal or prom today. 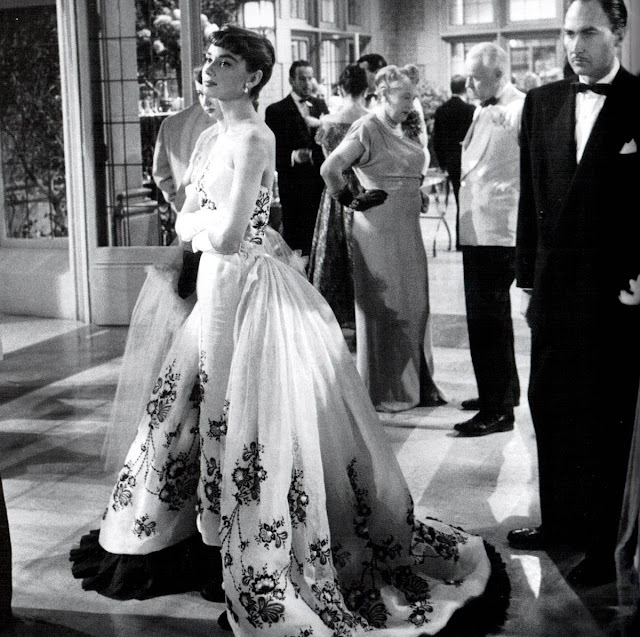 Take for instance this stunning Givenchy embroidered evening gown which Audrey Hepburn wore in the movie Sabrina. Which decade is your favorite? Let us know in the comments section below! 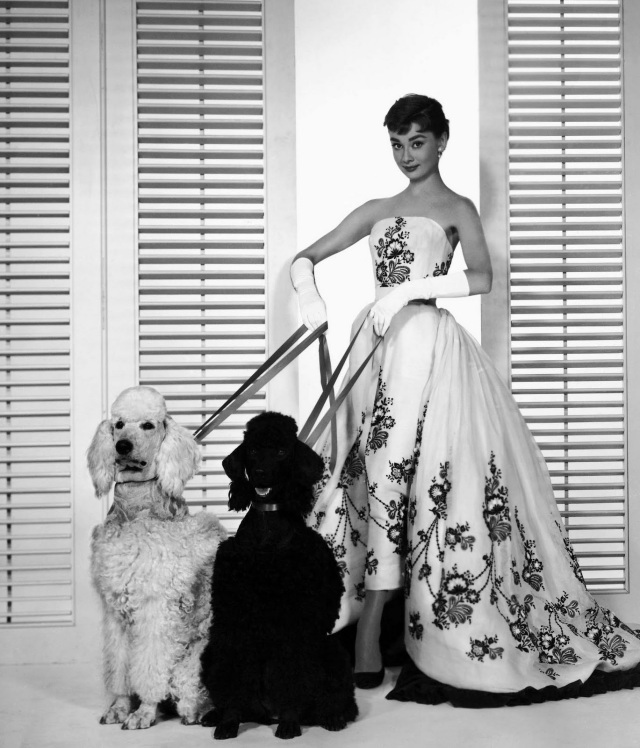 Our Audrey Hepburn Style Dresses Is Finally Here! © Retro Dresses & Vintage Clothing Online Store | Dressific Official Blog. Design by FCD.